Regrinding, Solvolysis and Pyrolysis are just three of the ways in which carbon fibre can be recycled. Research indicates on average between 30% and 40% of pristine carbon fibres are lost during the manufacturing process. 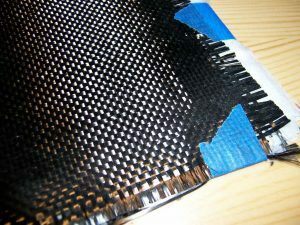 Popular in the aerospace and aeronautics industry it can be difficult to manage carbon fibre waste. Car giant BMW famously used recycled carbon fibres in the I3 and Series 7 models paving the way for others to follow suit. Since the turn of the century, carbon fibre and composites have been the making of the aerospace and aeronautics industry: their mechanical properties and lightweight, their adaptability and tailoring aren’t matched by others. They are however quite costly and despite an improvement in several processes leading to a decrease in the price, carbon fibres are still not a commodity and managing their waste is proving rather difficult. It is therefore no wonder that reusing or recycling carbon fibre has been the subject of several research programmes and ventures. One might assume carbon fibres in need of recycling come for components in their end of life. That is assuming that the fibres, much like alloys, could be salvaged during manufacturing and processing as well. Unfortunately this is not the case. In fact, it is estimated that 30-40% of pristine carbon fibres are wasted during the manufacturing process, before even being part of the finished product, let alone the final part. While carbon fibres are arguably mostly used by industries that can afford to pay a high price, it is still problematic to deal with the waste on an environmental scale. Disposal is not easy or similar in any way to garbage management as carbon fibre incineration or burying is toxic. Besides, even if the environment was not taken into consideration, the cost in energy and investment is simply too high to consider as a primary solution. 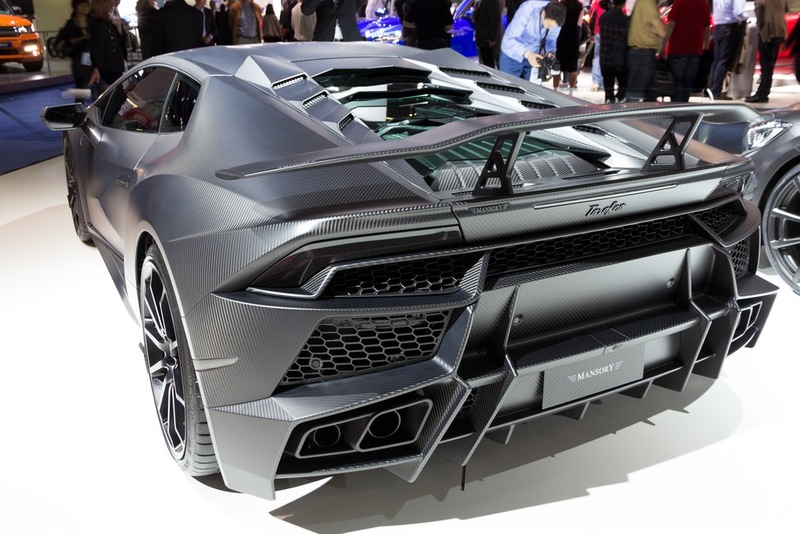 Recycling carbon fibre must surely be an option? Fibre waste has several forms: from bobbin ends and offcuts from ply cutting, to pre-preg waste and trimmings. Carbon fibres might already be bonded to resins and the resins might differ from thermosets to thermoplastics. Their chemical composition also has an impact on the way the carbon fibres may eventually be separated from them, making recycling the material a multi-parameter formula. Yet, it has been demonstrated that recycling carbon fibre will be cost effective and energy efficient compared to the alternative, producing virgin fibres. This can be an advantage given that the costly process of producing pristine carbon fibres takes also more time and the demand will most likely start exceeding the available inventory. There is the issue of mechanical properties with that scenario but many industries don’t need the high specs of typical carbon fibres like the aero industries. Therefore supplying sports industries, cookware and automotives with cheaper fibres more tailored to their needs must surely be a lucrative option? 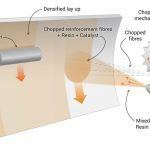 Milling and chopping fibres in either pellet or powder is a crude but exploitable form of recycling in certain applications. The downside part is the limitations of these forms of carbon fibres as a fibres’ strength is in its length and predictable orthotropic properties – once aligned and bonded within a ply. Short fibres however, are still under early investigation as is the powder form but to a lesser extent as its numerical model is available. Therefore, the reusability of this kind of recycled fibres is limited to R&D centers and hobbyists. This is a chemical recycling technic, relying on the use of a solvent to break the resin, thus allowing up to 90% recovery of the fibres. While the quantity of the fibres recovered and their quality are optimal, the main inconvenience lies in the state of their surface. The surface can be tricky to work on and it is important to ensure bonding within another matrix. It is also worth noting that solvents vary dependant on the thermosets and thermoplastics used. They can also be expensive and have a negative impact on the environment so research is still on-going in this area. A thermochemical decomposition is conducted at very high temperatures and it is the sole recycling technique available to the industry. It can be conducted either as microwave aided pyrolysis or thermal pyrolysis. While thermal pyrolysis produces less damaged fibres than a microwave-aided one, both definitely damage the properties of the fibres by an order ranging from 30-60%. Currently, there are very few cases of successful recycling of fibres. The most notorious one is by BMW, which reused carbon fibres in their I3 and Series 7 models. They used the waste of the manufacturing process and implemented procedures to take recycling into consideration within their supply chain models. This endeavor was possible thanks to the work of SGL Group, one the leading corporations in recycling carbon fibre. Otherwise, repurposed carbon fibres are often found as fillers or additives within plastics where they provide electrical conduction support. Going Back to the Classroom: Why?